In the upcoming weeks, you may notice some changes (big and small) around the site. I’m making it easier to find recipes, updating the resource sections to include a bit more information, and cleaning up the site so that it’s easy to use across devices. During this process, I’m also introducing a few new series/features in hopes to further inspire you in the kitchen. The first of these new series in one I’m calling Base Recipes. I share a wide variety of recipes on this site but one of the most useful things I’ve learned is to have a pocket full of recipes that I can continue to adapt. 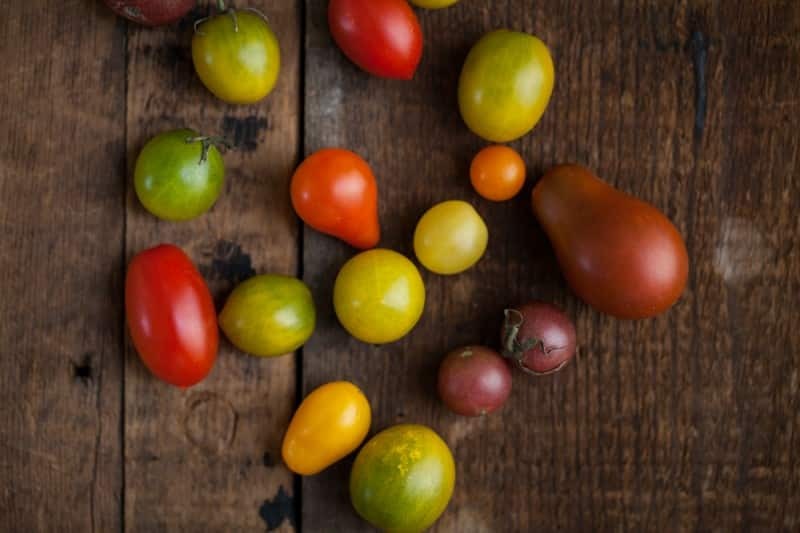 These recipes are great for eating seasonally and for not wasting food. These base recipes are the building blocks for 95% of my meals. My goal with these post is to not only give you the recipe but also give you ideas, both with ingredients and with other recipes from around the internet. These are meals that fresh farmers’ market produce gets used in and also the meals that aid in cleaning out the refrigerator. Since it’s a long weekend, I thought it appropriate to share my favorite brunch/light dinner recipe. 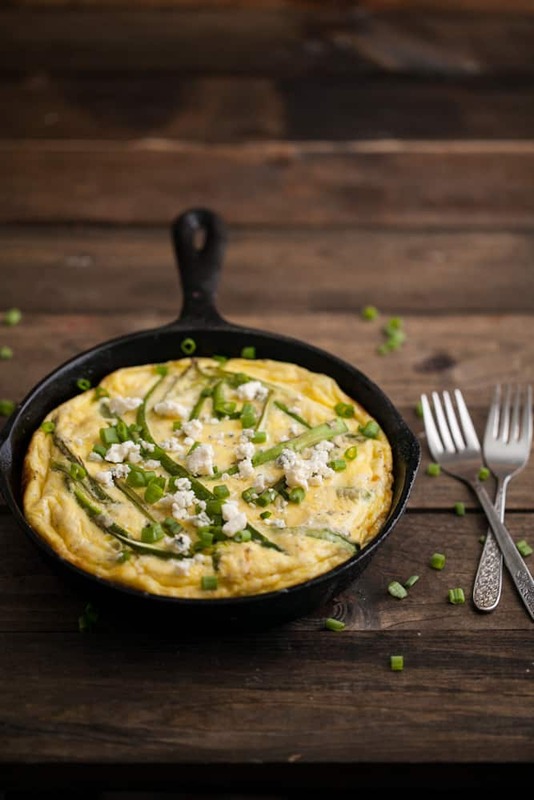 A frittata is a great, gluten-free base recipe that takes less than 30 minutes to assemble. 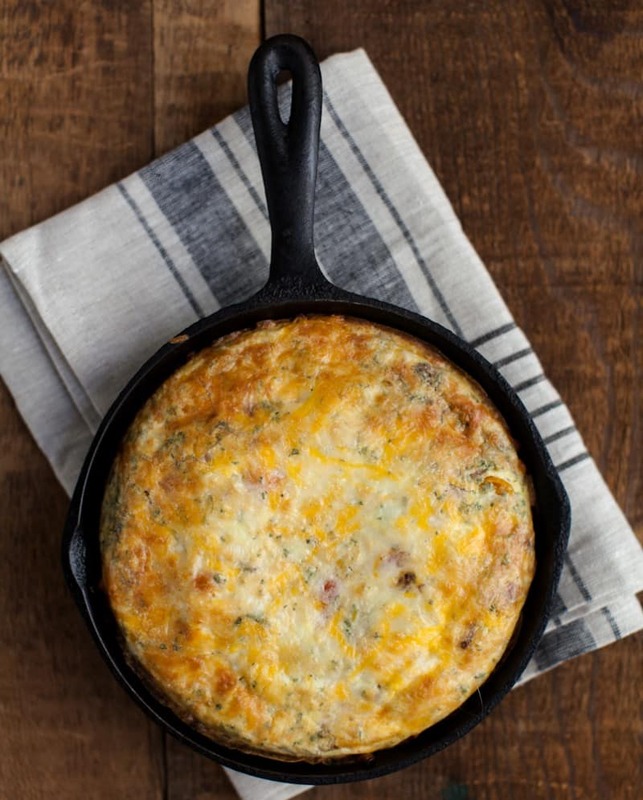 Frittatas are often our go-to weekend breakfast and our occasional go-to dinner. 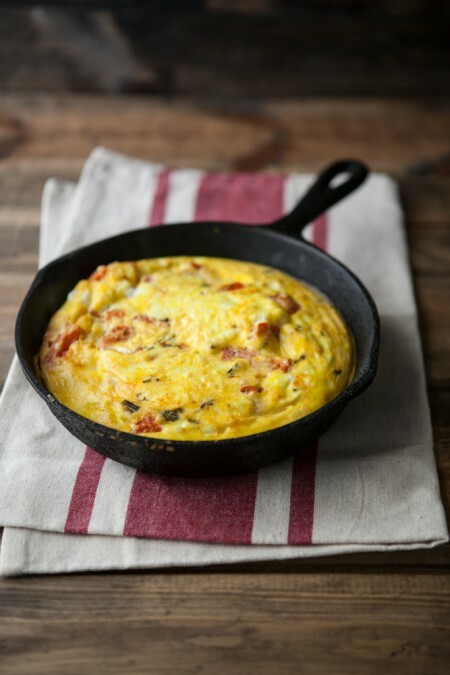 Frittata combinations are endless which makes this a key base recipe to have. *I also will toss in leftover cooked grains such as millet, quinoa, sorghum, brown rice, wheat berries, kamut, etc. These grains help add a slightly chewy and heartier texture. 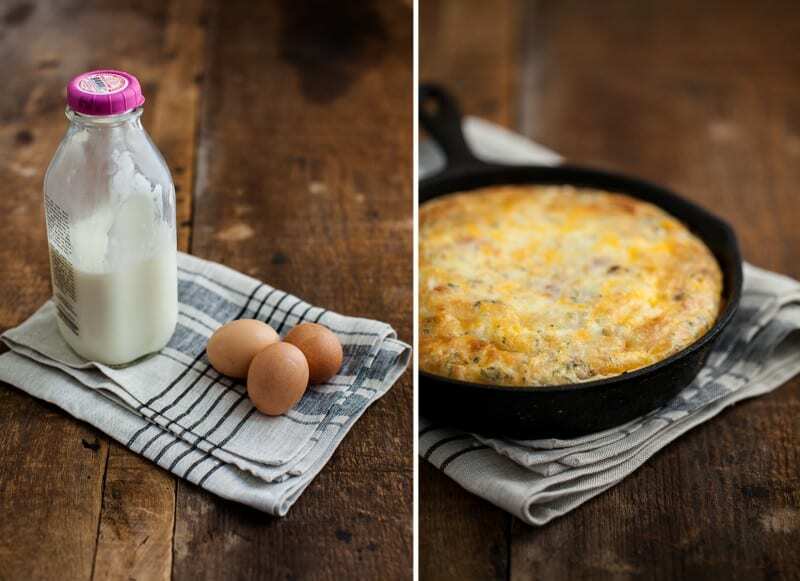 Base Recipe: There are many different ways to cook a frittata and the egg/milk ratio can also differ. This is the recipe I stick with because it creates a light and fluffy final product. Of course, feel free to play around! I love this series Erin! 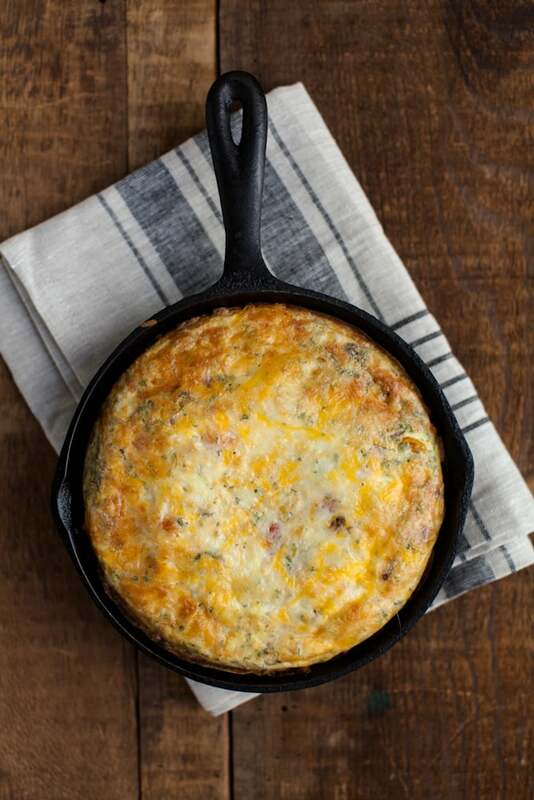 Frittatas are so delicious any time of day! I feel like one of the biggest secrets of established cooks is understanding ideas like this. You’re awesome to share your base recipes, and I’m looking forward to reading more! What an awesome idea. Base recipes are such a valuable thing for for everyone to have. THey can be so fun to adapt and like you they are my go to recipes!! So excited for this series and all the fun changes you have planned! I really love this idea as it’s so up to what I have on hand, what I like… I love being able to customize! Fantastic.. can’t wait for more! I find fritattas to be a perfect way to get in some veg protein and simultaneously use up all the produce in your fridge! I need to try your base recipe since I’m not sure that i’ve found one that I truly LOVE. Love the series idea. I also find myself using base recipes or techniques and experimenting with different ingredients and such. I’ve been finding myself cooking a lot more like this lately, using base recipes and incorporating fresh produce, and ignoring blogging for a bit. It’s felt great, and reminds me that improvisational cooking is often the most enjoyable. I love that you’re doing a series spin off on this. Great start with eggs — always a wonderful base for summer veggies! I love this series already! What a great idea. And frittatas are one of my faves, although I don’t make them enough. Looking forward to the next one! Oh this is super smart for new cooks. 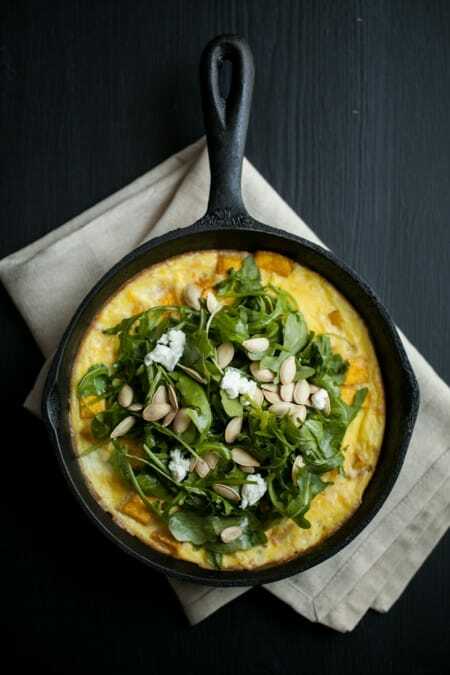 We adore frittatas, especially this time of the year when the garden herbs are lush and we have plenty of our own eggs. As someone who doesn’t know the first thing about cooking, I would LOVE a base recipes series! Super helpful to have a “base” series. Thanks! So useful! Thanks for sharing this! I love this idea for basics that you can add on to. Great Post! I need to make more frittatas, such a great way to use up what’s left in the fridge 🙂 When you decrease the recipe by 1/2 do you also change the pan you’re using or is it just a thinner frittata that cooks faster? Thanks! I made a pea, mushroom, zucchini, grated carrot, goat cheese, green onion, spinach and kale frittata today for lunch. Basically everything in my refrigerator. Delicious! Thank you. I love your blog. This was so helpful. I totally made this with the random veggies in my fridge and it was delicious. I even subbed the milk for coconut milk because my husband is eliminating dairy from his diet. I would love to see more of these base recipes. 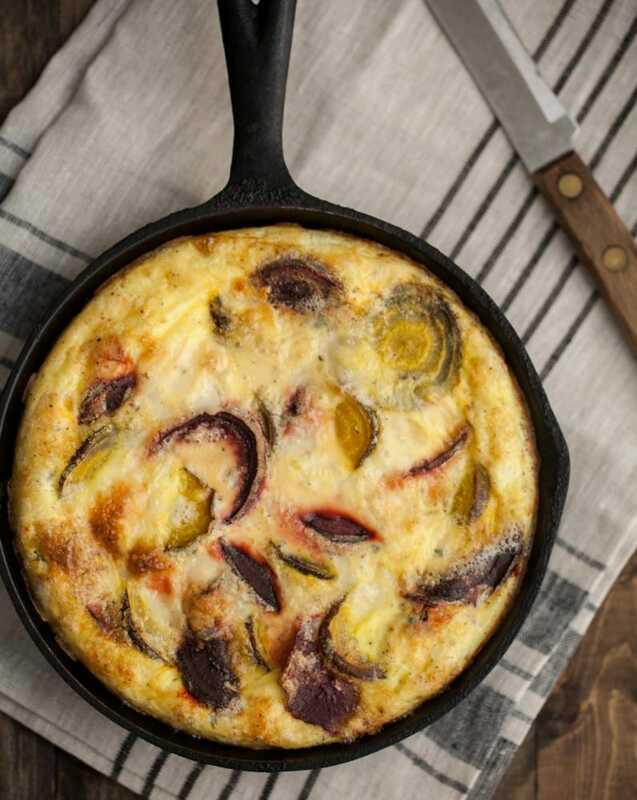 Thank you so much for this frittata recipe!! I wanted to cook up a frittata this weekend with kale and peppers but needed to find the base recipe for a frittata since I haven’t made many. This was exactly what I was looking for! I can’t wait to check out some of the other base recipes in the series. That is a wonderful idea to give people the base and then the option to play around with additions they will love. please do more base recipes! 🙂 this was so helpful and your website is super inspirational for my cooking!